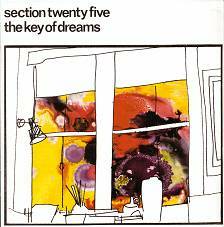 Expanded remaster of the second studio album by Section 25, originally released by Factory Benelux (FBN 14) in 1982. 14 tracks in total, including the original self-produced album plus hard-to-find compilation tracks (Hold Me) and singles The Beast, Sakura and Je Veux Ton Amour. Original artwork by Larry Cassidy, full sleevenotes, digitally remastered from the original master tapes.